With Windows 10 Anniversary Update, Microsoft introduced modern version of Sticky Notes app to replace the classic Sticky Notes program, which we all have used and familiar with. The new Sticky Notes app ships with a couple of new features that are not part of the classic Sticky Notes program. In addition to the new features, the advantage of Sticky Notes app is that we can easily reset and reinstall the app if doesn’t work as it’s supposed to. 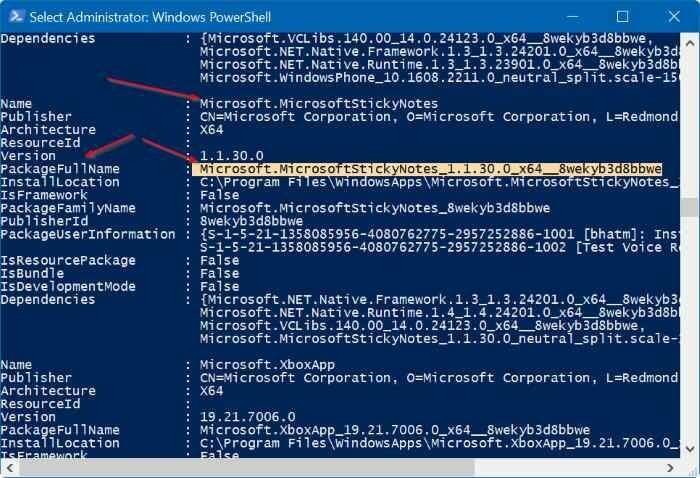 While Windows 10 doesn’t offer a very straight-forward way to reinstall the Sticky Notes app, you can reinstall Sticky Notes in less than five minutes either using the built-in PowerShell or using a third-party tool such as CCleaner. However, resetting the app is straight-forward as it can be done under Settings. If the Sticky Notes apps is not opening or not working, you can reset and reinstall it by following given below directions. 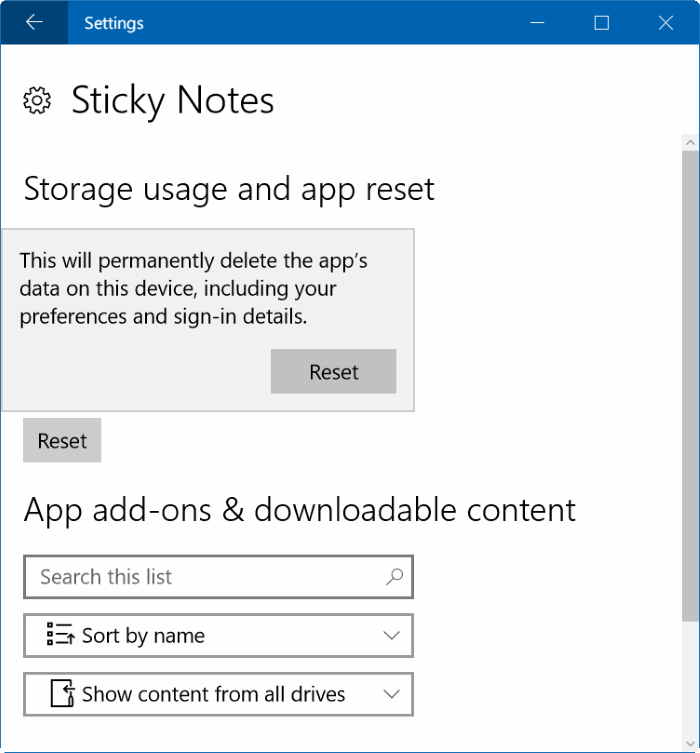 Because only Windows 10 Anniversary Update (version 1607) and later versions ship with app version of Sticky Notes app, this method doesn’t work on versions 1511 and older versions of Windows 10. Note that resetting Sticky Notes app might delete all existing notes. 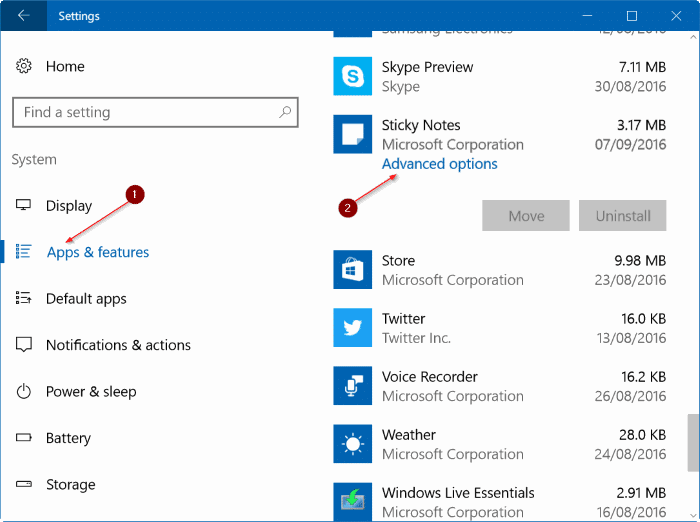 Step 1: Open Start menu, click Settings icon to open Settings app, click System, and then click Apps & features. Step 2: Click on Sticky Notes entry, click Advanced options link, and then click Reset button. Step 3: Click Reset button again when you see the confirmation dialog to reset Sticky Notes app. If you’re not familiar with PowerShell, please follow the directions in Method 3. Step 1: Open PowerShell with admin rights. To do so, type PowerShell in Start menu or taskbar search, right-click on the PowerShell entry and then click Run as administrator option. 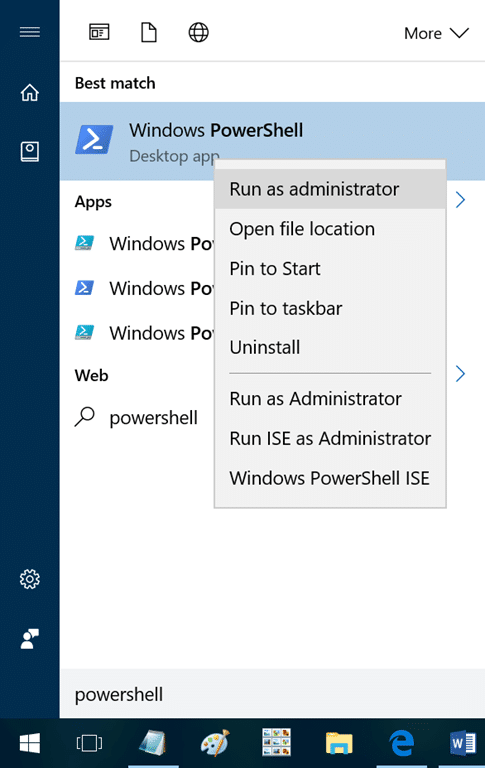 Click Yes button if you see the User Account Control prompt to launch PowerShell. Step 2: At the PowerShell window, type or paste the following code and then press Enter. Executing the above command will list all installed default apps in Windows 10, including the new Sticky Notes app. Step 3: Now, look for Sticky Notes entry and once you find it, copy its PackageFullName as shown in the picture below. To copy PackageFullName, select it, and then use Ctrl + C hotkey. Step 4: Finally, execute the following command to uninstall Sticky Notes app. In the above command, replace PackageFullName with the actual PackageFullName which you copied in the previous step. Step 6: Open this page of Store in your browser, click Get the app button to automatically open the Store link in your Store app, click Free/Install button to begin downloading and install Sticky Notes app. That’s it! You just reinstalled the Sticky Notes app in Windows 10. Step 1: Download CCleaner for Windows 10. Run the setup file to get it installed. 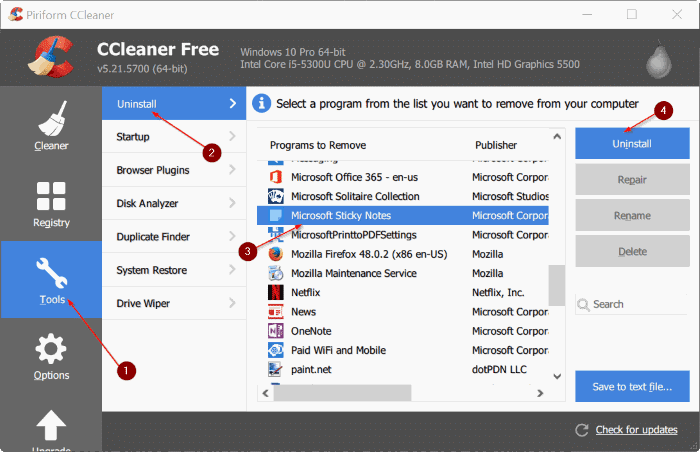 Step 2: Once installed, launch CCleaner, click Tools and click Uninstall to view all installed default apps, apps installed from Store as well as traditional desktop applications. Step 3: Click on Microsoft Sticky Notes entry to select it and then click Uninstall button. Click OK button when you see the confirmation dialog to remove the app. Step 4: Now that Sticky Notes is uninstalled, visit this page of Sticky Notes in your browser, click Get the app button to open the link Store app, and then click Install or Free button to download and automatically install the app. Simple as that! 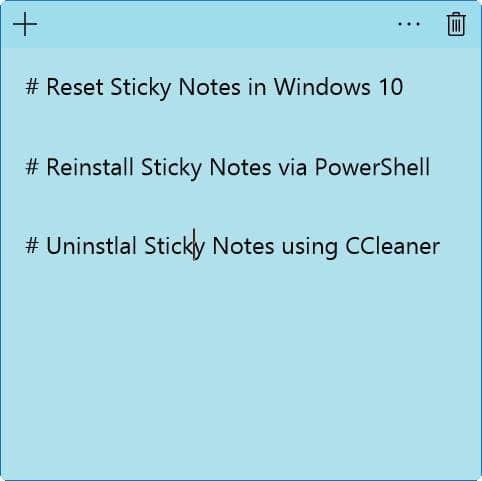 Learn how to restore deleted Sticky Note notes in Windows. thank you your suggestion worked! I work for an organization that deploys 1709 upgrade to a large number of computers. The upgrade is causing the sticky note to stop working on some computers. After reinstalling using Powershell, it still does not work. We have blocked the MS Store from user’s computers. What is another way to install the newer version of 2.05 without downloading it from the store? Thank you!! It took me so long to find this article, and so little time to follow your advice (Method 1) – brill! After lots of searching I found this tutorial – thank you! You Sir is a GENIUS! Thanks for helping out and this is really great with all the step by step with pictures! You are so awesome! 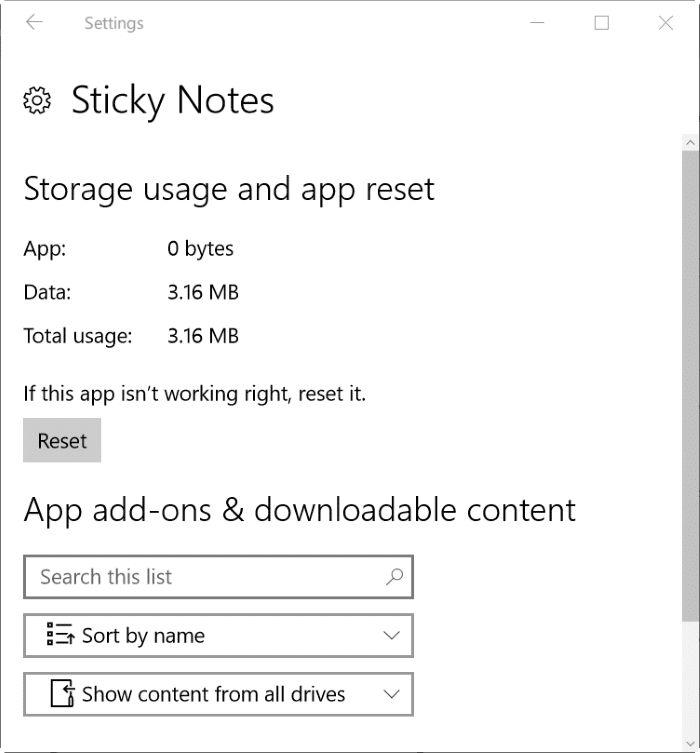 I have tried reinstalling the Microsoft Stickynotes application with both the system reset and the Powershell reset, but my stickynotes app still does not work! When i try to launch it, it just states “This app can’t open. 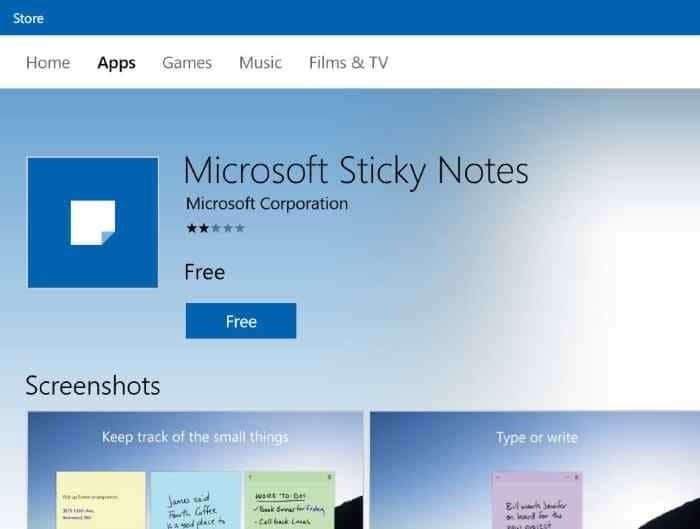 Check the Windows store for more info about Sticky Notes. And when i go to the store and try reinstalling it, the same problem applies. Please email me if you can help! Perfect, thank you, all good now! What heroes you are. Solved both Edge & Sticky Notes disappearance after last Win Update. Just a word wow. I have enabled insights which resulted in hung sticky notes. Thanks for the clear information on reset. Really made my day. Keep rocking and help fellow compadres. I tried the powershell method which successfully removed sticky notes, but when I reinstalled it, it still doesn’t work! I click the icon and it just shows the busy symbol for a few seconds and nothing ever shows up. Please email me if you can help! This worked perfectly. Easy to follow too!